Daniel Deusser produced his third sensational win of the season at the 13th and last qualifier of the Longines FEI Jumping World Cup™ 2018/2019 Western European League in Bordeaux, France tonight. The 37-year-old German cruised to victory with Calisto Blue at round 3 in Verona (ITA) last October, and then rocketed up the series leaderboard when winning again at round 6 in Madrid (ESP) the following month with Tobago Z. 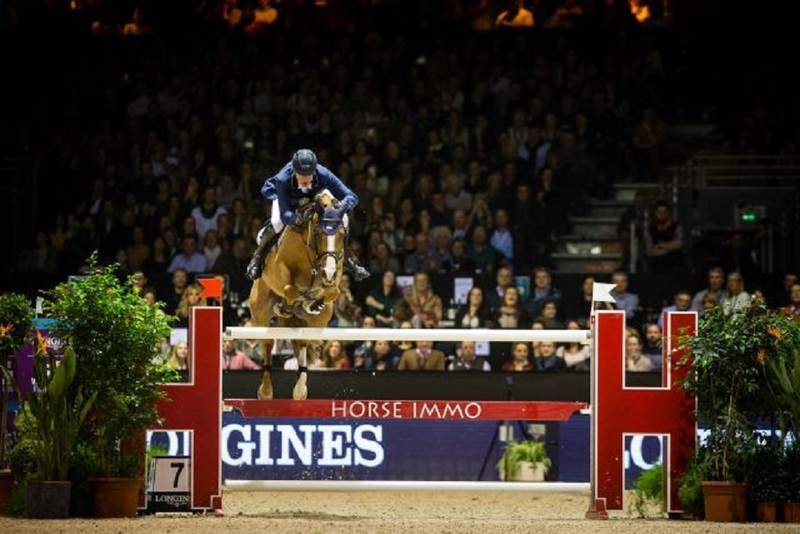 Already heading the WEL leaderboard before today’s competition began, the World No 5 rider and 2014 Longines champion has now accumulated a massive 99 points, and looks set to really put it up to the rest of the them when the Longines 2019 Final gets underway in Gothenburg (SWE) on 3 April. In tonight’s six-way jump-off it was Tobago Z who sealed it for him yet again, pinning Belgium’s Gregory Wathelet and Iron Man van de Padenborre into runner-up spot and Spain’s Eduardo Alvarez Aznar and Rokfeller de Pleville Bois Margot into third. Deusser can hardly believe what a run of form he’s been having. "I’ve never had a season like this to be honest - not only three wins but fourth in Leipzig and third in Amsterdam - it’s just been amazing!" He admitted that he was “a bit confused” when two of the first four riders jumped clear over Jean-Francois Morand’s tough first-round track. “It was a big, long course with difficult combinations and the time-allowed was long, I thought he would reduce it, but it was such a good decision not to do that - we still only got six clear rounds, so the course designer did a really good job!” Deusser pointed out. Celine Schoonbroodt-de Azevedo (Chepetta) led the way against the clock with a fence down in 51.92 seconds but Belgian compatriot, Francois Mathy Jr, made no mistake with the ever-careful Uno de la Roque to set the first real target at 50.96 seconds. Then Norway’s Marie Valdar Longem, 621st in the Longines world rankings, produced her second superb clear of the day from the supercool Si la Sol de Greenbay Z in 53.14 seconds before Wathelet raised the temperature considerably. His 11-year-old stallion is not long back after an injury-break and with a really positive and forward round they took the lead in 47.72 seconds, so when Alvarez Aznar broke the beam more than a second slower then it was Wathelet’s time that Deusser was chasing. The German hadn’t finally decided his strategy however, even as he set off. "I knew there was the option to go inside after the double (third fence) but I only decided to do it after he jumped into the double because he was so confident in the air. I knew then we could do it, and then we got a good run to the plank (the following fence) so I just told myself to bring it home and not do anything crazy after that!" The top-18 riders on the Western European League table are all eligible for the Longines 2019 Final (see Final Standings below) and current World No. 1, Steve Guerdat, will be chasing down his third title when the action gets underway in seven weeks time. After tonight’s Longines FEI Jumping World Cup™ prizegiving, the Swiss super-hero whose extraordinarily successful year in 2018 included individual bronze at the FEI World Equestrian Games™ in Tryon (USA) last September, was presented with the prestigious Longines FEI World’s Best Rider Award for 2018. And Steve also accepted the Longines FEI World’s Best Horse Award 2018 on behalf of his brilliant mare, Albfuehren’s Bianca. Meanwhile tonight’s winner, Deusser, has decided that Tobago Z will be his choice as he strives for a second Longines FEI Jumping World Cup™ series title. “He’ll have four weeks off now and then I’ll take him to ’s-Hertogenbosch (NED) for a last run before the Final. It’s not an advantage to go to Gothenburg as the (WEL) leader, but it’s a really good feeling all the same!” he concluded tonight.